Calvin Crowner, the producer of Ultima Online, has posted a Producer’s Update, outlining upcoming changes and additions to Ultima Online. There is empty space in Magincia. There is room for a bazaar area. And you the player are going to help fill that space. Over the next few weeks we will be sharing art and information about the continued restoration of Magincia. While we are sorting the plots, and players are settling in to their homes, we will give you updates on the new items that will be available this Spring. Some of you have already seen the new wallsets on various sites or the forums … but there is more — some decorative, some functional. 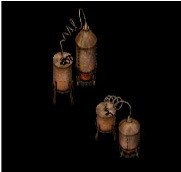 The distillery is designed to allow players to distill and distribute alcohol. 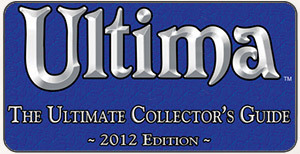 This item is something you always wanted for Ultima Online. Players will be able to not only create, but also engrave and name their special brews. So if you ever had a desire to run moonshine across Sosaria … your day is coming! In the coming weeks we’ll share information on the raised garden bed, gargoyle statues, and even a llama topiary. The core feature that will fill out the bazaar will allow players to buy and sell commodities, as well as feature that will finally allow vendors to sell pets. Check our Facebook page on the next Fridays. We will also share the high-level design doc with you (as we did with Magincia), and plan to give you least 3 weeks on test center to play and give feedback. Speaking of Test Center: We will be turning on character copy soon. Character copy is intended as a feature that will allow players to copy one of their live shard characters to a test center. The intent is to allow you all to play on Test Center with a character you are familiar with instead of building one from scratch for each new publish. We hope this will inspire you to come put new features through their paces on test centers. We are centering many decisions this year around improving the Enhanced Client (removing the Beta Tag); increasing the frequency of small developer-lead events; and improving the transition of new and returning players to Ultima Online. First step for the art resolution pass is to assess what we have and how best to use current art assets. In the near term we plan to update the terrain to a higher resolution. Following how our first pass works, we will move on to other elements. We feel a slow iterative approach is best when dealing with the client, and will also insure players are not downloading massive art updates each time you log in. Understand, this does not mean we are abandoning the Classic Client. A dominant number of players still use the Classic Client. However, that intrepid Beta tag is a bit glaring, and we’d like to get the EC to an acceptable state which will allow us to remove it. Along with stability, we would like a better bit of “polish” for its appearance, and how players interact and view the gameworld. What about the shorter story arcs? Our next arc will center on the origin of Ter Mur. We are planning the first events for June, which will run for 6 weeks. If there is great interest some aspects of the event will run longer. We’ll play it by ear. There will be some fiction about the event, but the feedback we’ve received tells us players prefer actual exploration and discovery in the game rather than a lot of reading external to it. Fiction simply whets the appetite for what’s to come. In the interim you will be seeing an interesting change to the material and subject matter for EM events this Spring. 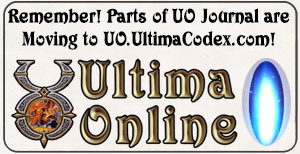 For the new player experience, we are still gathering information from the forums and reviewing past efforts Ultima Online has made to bring players to the game. We need to find a balance of giving enough to allow a new user to understand, as well as help returning players catch up quickly. Many of you are aware a part of the team is in Japan. They are doing well and are doing their best to deliver content and updates to the game given the intermittent after effects of the earthquake and tsunami. We still have an Americares button on the Ultima Online page. Note that all proceeds go directly to Americares and support for Japan relief. While the headlines have changed the need has not. Keep the team and the Japanese community in your thoughts. Thanks for your attention, and see you on the boards.